A while back, I was excited to report that HGAT was expanding and I was looking to hire. Of course, it couldn’t just be anyone, they had to be the most perfect person ever. Picky? Me? Never. I went through a sea of CVs, and whilst I really did love some of them, especially Halal Boy About Town, I just couldn’t find that someone who ticked all the boxes. That is until I came across FAB. FAB, Im happy to tell you all, has since joined HGAT, and is doing a kickass job helping me get things going again starting with managing my oh so disorganised life and manic schedule. 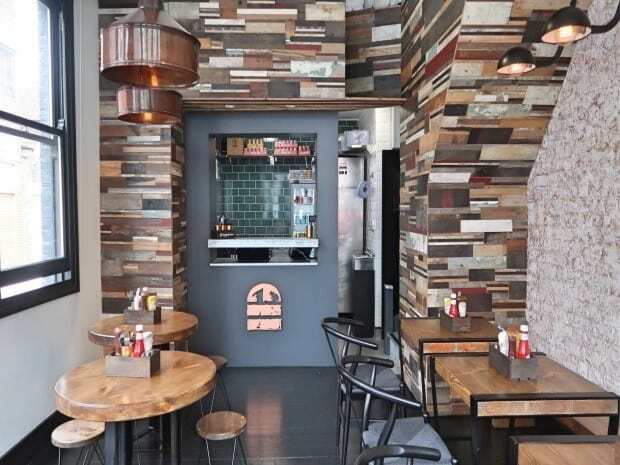 As a welcome present, I thought it would be nice to treat her to a meal at Burger UK, one of London’s newest halal burger restaurants. Burger UK believe in using ethical products throughout their menu, which also stretches to their drinks. 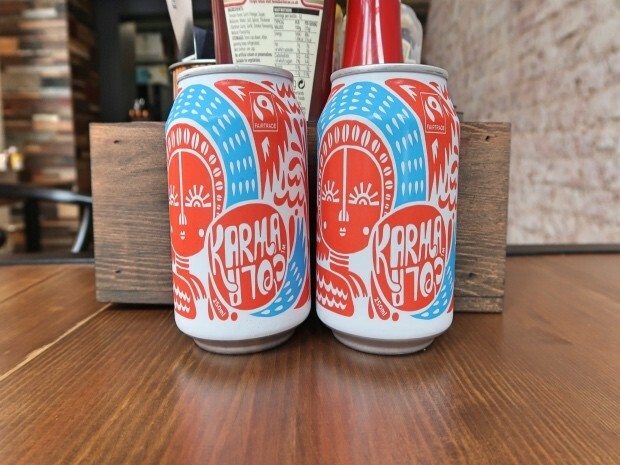 We opted for the Karma Cola, which was nice and sweet, but I did miss the usual likes of coke, sprite etc. Burger UK offer three different types of chicken strips: plain, teriyaki, and sweet & spicy. Wanting something a little sauce in life, I opted for the sweet & spicy option. 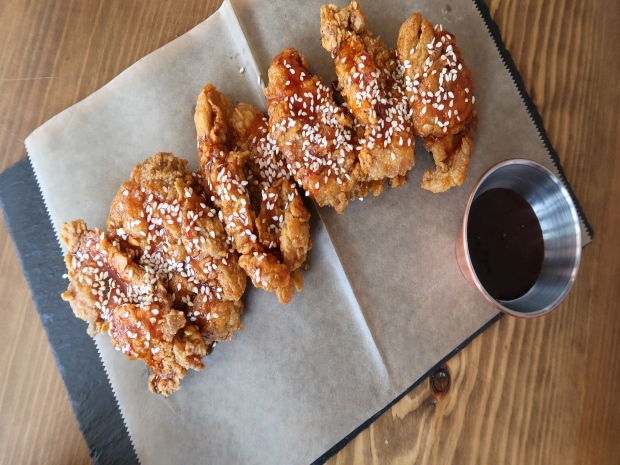 Biting in, the chicken was succulent and well seasoned with a rich, sticky gochujang sauce that added a subtle spicy kick with just the right amount of sweetness to balance everything out. I had opted for my burger to be cooked to a medium-rare and topped with blue cheese. The first thing that stood out to me was the bun; it was delightfully soft and pillowy, and perhaps the best brioche bun I have had. 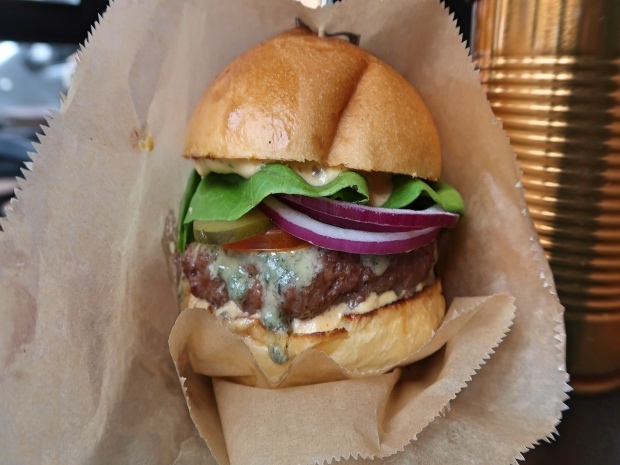 The stilton cheese added a super rich creaminess, and the burger patty itself was really juicy with good seasoning, although I felt it was a little too soft for my liking. 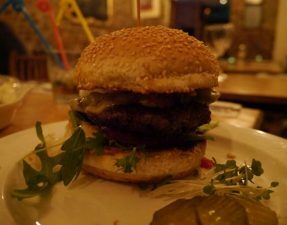 The second burger, on the other hand, was made using American cheese and cooked to a well-done (omg), as suggested by the owner. 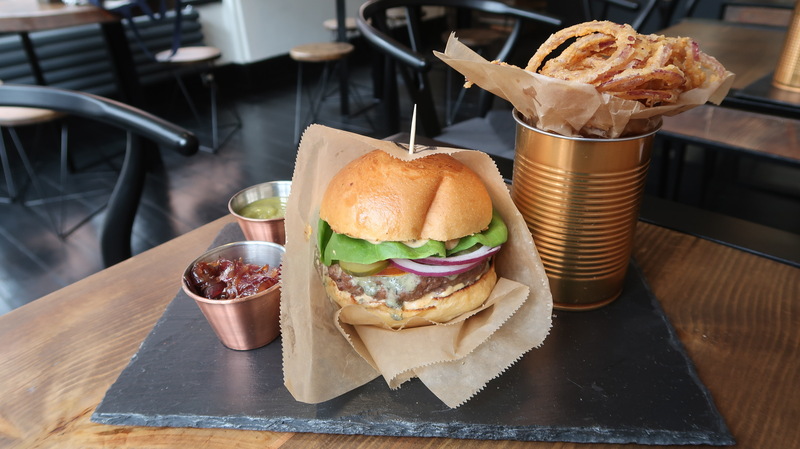 I actually preferred this to the first, and was surprised that the burger patty was not dry or bouncy as I have experience with other well-done burgers. It did become a little too messy to eat, so I would keep it wrapped up, but was really, really good. I do think both burgers could have done with a touch more seasoning, but were otherwise great, and enjoyable when eaten straight away. 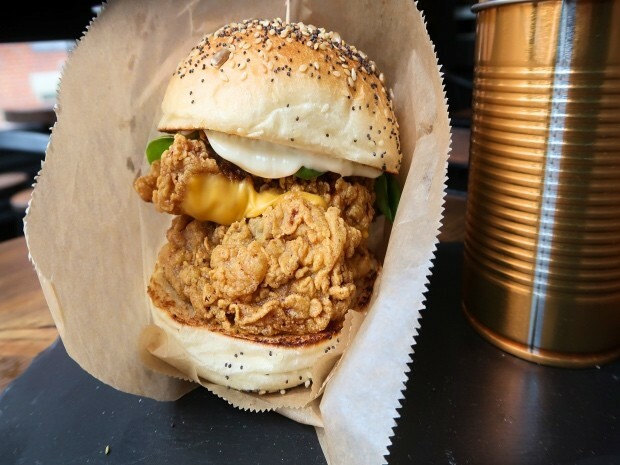 Big, no, HUGE deep-fried chicken steaks that were served in a soft seeded bun, and finished off with American cheese (optional, but how can you not? ), a slick of mayo, and the usual salad trimmings. Burger UK opt for chicken thigh pieces, and trust me, you can taste the difference; the chicken was super juicy, and was so delicious when combined with that melted gooey cheese. I just wish that the batter had been seasoned with a little bit of pizzaz (my favourite word at the moment) to make it really stand out like the chicken strips. A patty made with an assortment of vegetables, and most importantly, cheese. 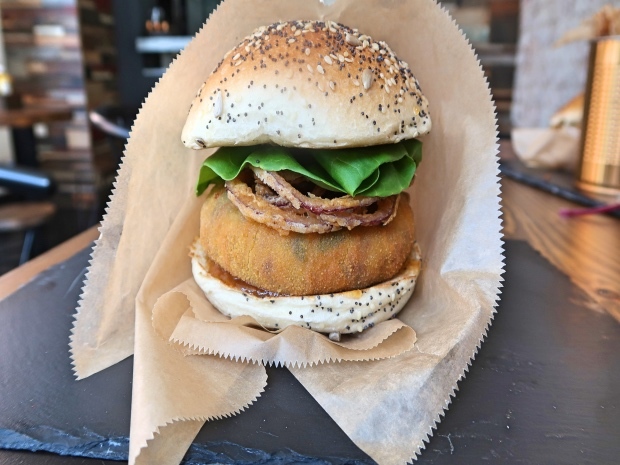 It had been sandwiched in a squishy seeded bun, and served with green chutney, mango chutney and crispy onion rings. The mango chutney and onion rings added a lovely sweetness to the sharp flavours of the green chutney, and the cheese was super warm and melted which made the vegetable patty that much more enjoyable. Both the normal and sweet potato fries were quite soft and soggy, and I would have liked them to be a lot crispier. That said, the seasoning on both sets of fries were good. 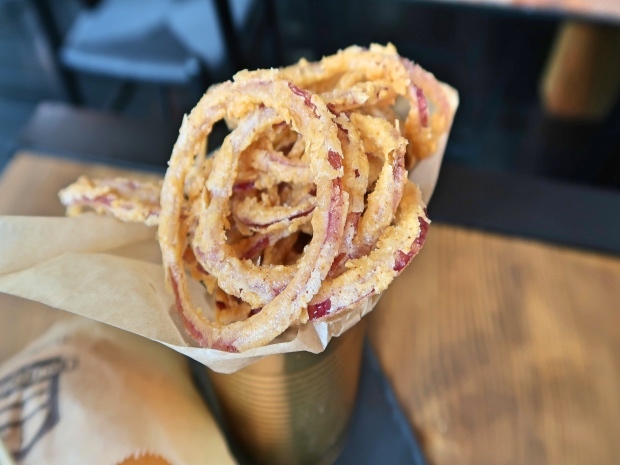 Thinly sliced rings of red onion that had been dipped in batter and deep fried. These were really, really good in comparison to the fries; crispy with a subtle sweetness and were FABulous dipped in the spicy (no, this is actually quite hot) house chilli sauce. Although, it was just myself and FAB, I am going to count this meal for THREE people, because two people cannot eat all of the above. 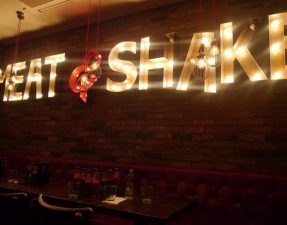 The total bill would have amounted to £42 for three, so £14 each, including drinks. For me, I do not find this that expensive when comparing it to London’s halal burger joints, and would probably place it towards the middle of them all, price wise. However, £8 for a vegetarian burger might be pushing it a little. 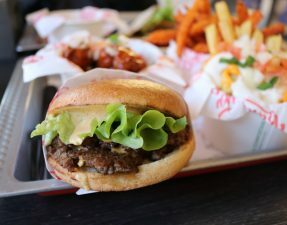 Burger UK has been open for approximately three weeks and are still finding their feet, but I was impressed with how good the food was in spite of this! 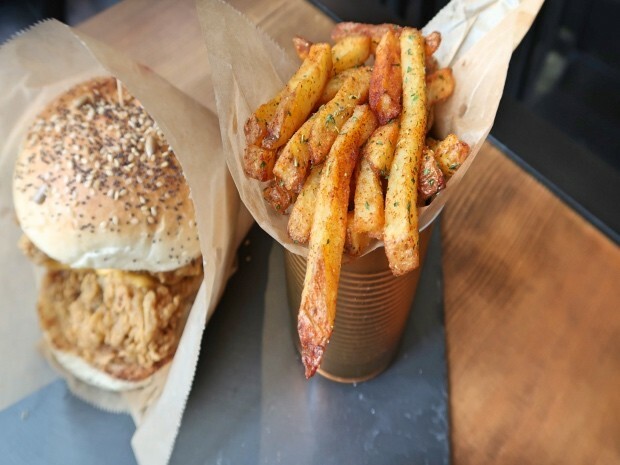 It is one of the better halal burger joints in London, and I would return if I was really craving a burger or some good fried chicken.